There is so much fear and hype surrounding link building that it warrants taking a closer look at just what the search engines make of this staple practice of the SEO community. Building backlinks to your site is still an undisputed and core element in getting your site or page ranked well in the search engines and despite all the recent algorithm updates this is likely to remain so for the foreseeable future. So if this is an accepted fact, then why the fear? Put simply, there is a right way and a wrong way to building the links that are likely to have beneficial effect on your site! Search engines like Google on the one hand actively discourage the practice of link building for the sole purpose of trying to manipulate your search ranking positions (SERPS) and yet on the other, when done correctly will reward your site with higher rankings. So what then is the correct way? We thought you’d never ask! The first and foremost thing that we strongly recommend that you do, especially if your site is an established one is to conduct a thorough analysis of your link portfolio and by that we mean you need to pay pretty close attention to the sites that link to you and the way that they do it too. Links that are given naturally by sites and pages that want to link to your content or company. These links require no specific action from SEO, other than the creation of worthy material (great content) and the ability to create awareness about it. 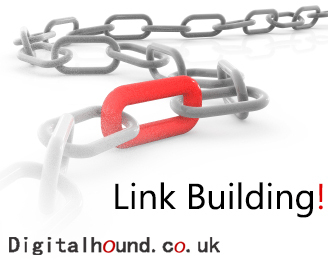 Link building services provided by SEO companies create these type of links by emailing bloggers for links, submitting sites to directories, or paying for listings of any kind. Your SEO company/employee often creates a value proposition by explaining to the link target why creating the link is in their best interest. Examples include filling out forms for submissions to a website award program or convincing a professor that your resource is worthy of inclusion on the public syllabus. Hundreds of thousands of websites offer any visitor the opportunity to create links through guest book signings, forum signatures, blog comments, or user profiles. These links offer the lowest value, but can, in the aggregate, still have an impact for some sites. In general, search engines continue to devalue most of these types of links, and have been known to penalize sites that pursue these links aggressively. Today, these types of links are often considered spammy and should be pursued with caution. There are however, far more effective methods and solutions to generate the right type of links such as social media signals, content rich video etc; but be prepared for some painstaking effort and have patience because it may take a while before you start to see the benefits. Needless to say, simply get in touch with our experts or find out more about our link building services here if you’d like us to remove the ‘headache’ of constantly finding new ways to acquire links!